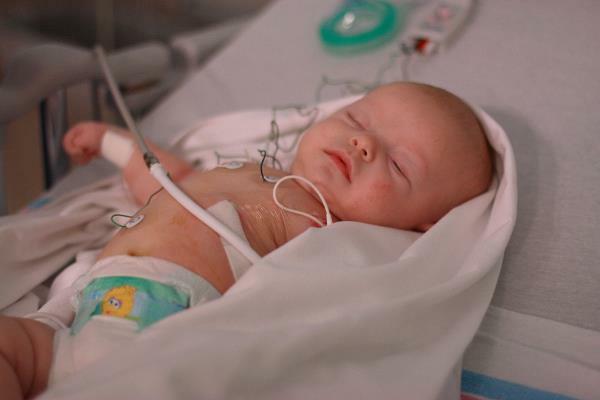 Sweet Baby Mallory: You don't know how strong you can be until you have to be. You don't know how strong you can be until you have to be. 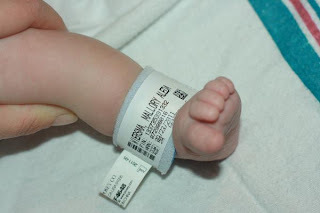 They admitted us to Helen Devos Children's Hospital a month ago. 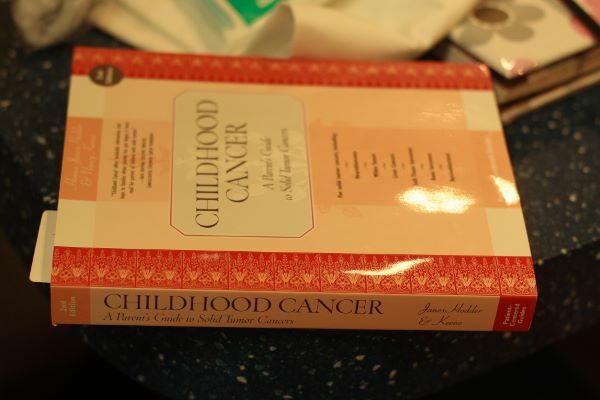 This is the book they broke the ice with to tell us that our precious little girl had Cancer. It seems like we've been going through this for a lot longer than that. That whole first week is what breaks me down, it's what makes me want to curl up into a ball, its what brings back the tears. It still doesn't feel real. I watch this little girl as she fights this horrible cancer and she is the reason why we are strong, she's the glue holding us together. She's the reason why I get out of bed in the morning. Because this girl has been through so much and yet here she is 6 days out of her first round of chemo and she's still smiling, she's even giggling all the time, and starting to attempt at rolling over. Not even Cancer is going to hold her back! 2011 has been a rotten year for us minus a few GREAT things that happened. 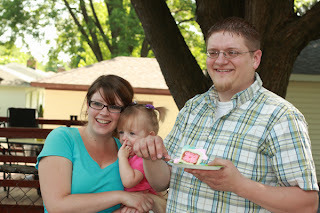 In January we found out we were PREGNANT! And used Jillian as the official announcer! 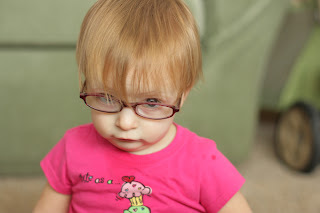 February was the last month of trying to get Jillian to actually wear glasses. 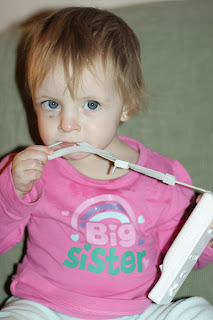 As you can see a 1 year old in glasses = hard work getting her to actually look through them! Jillian started WALKING in March! 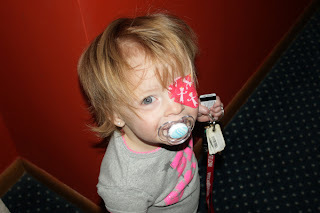 In April, Jillian had to start wearing an eye patch, you have to admit it was pretty stinking cute :-) Surprisingly a LOT easier than making her wear glasses! 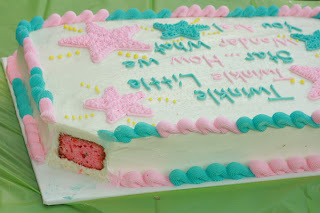 May was a GREAT month for us, we found out that we were having another GIRL! 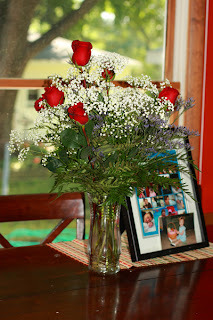 July was a fun month too, Ryan and I celebrated our 6 year anniversary! 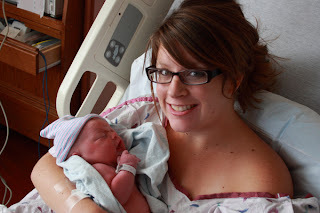 I was 7 months pregnant, and we had an amazing 4th of July! August was NOT so much of fun month for us. Besides Ryan's Birthday (He turned 31 and we celebrated with a lopsided angel food covered in pink frosting, a wonderful tradition). 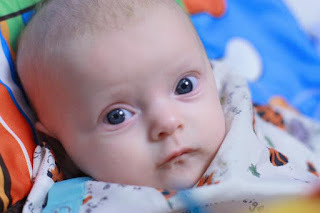 We spent several nights in the maternity ward because I kept having preterm contractions, I was put on bed rest for the majority of the month and had to spend a lot of time away from Jillian so I could rest. We are not one of those families that has a cute picture of us all smiling, looking perfect, but that is totally our life. We are blessed to have such a wonderful, chubby, cute baby to add to the chaos of our life! November changed our lives. 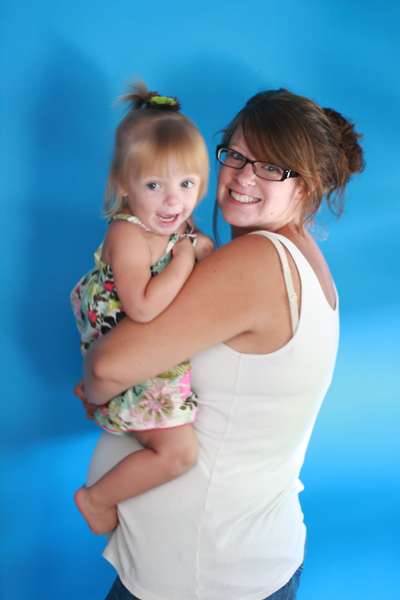 Mallory was diagnosed with Neuroblastoma. It was a heavy blow. Our family hit rock bottom on November 29th, Our world was turned upside down. 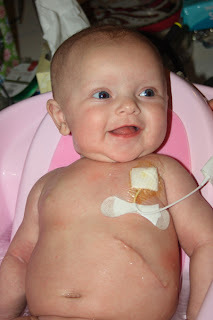 This sweet pudding of a baby of ours had developed 2 tumors in utero. December was a very hard month for us. 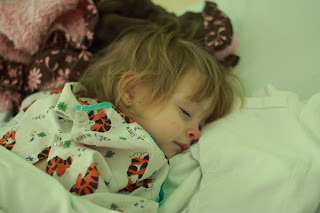 Mallory had surgery to remove the larger of the 2 tumors, we spent 8 days in the hospital learning how to take care of her at home. We came out of room 913 with more than just Cancer, we came out better people. This hit us hard and we never expected it. She had her 1st round of Chemo this month and has been a trooper. She keeps on smiling, she keeps on giggling, she keeps on going even when the world is crashing down around us. 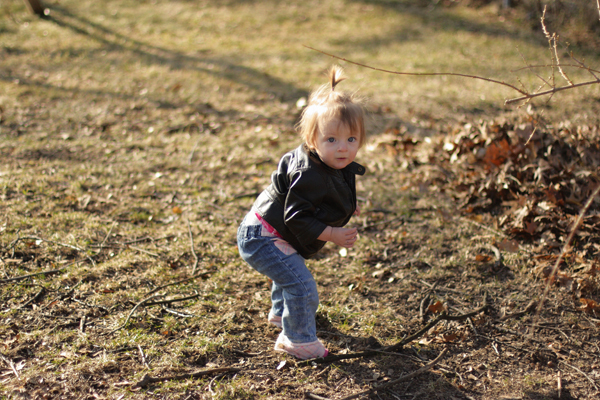 She's a strong little girl and she's got all the right stuff to fight this! What a beautiful tribute to your family, your trials, and what you have learned this year. 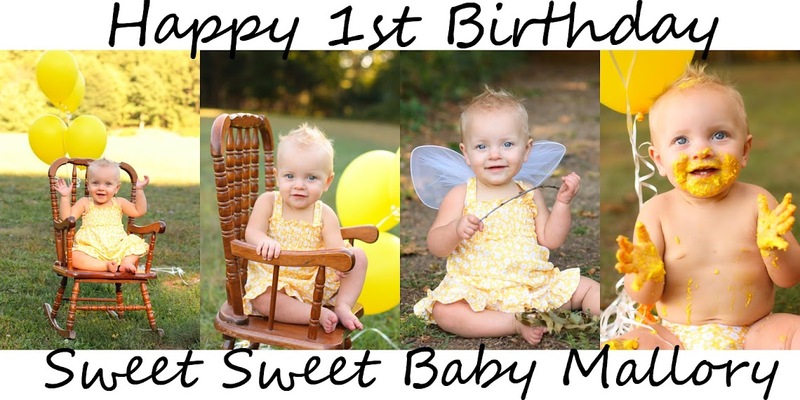 Mallory is a beautiful sweet little girl who will fight this and beat it. She is blessed with a wonderful family and has nothing but love around her. You amaze me with your strength, positive attitude, and hard work. You are an inspiration to people everywhere. You have many prayers and support coming to you from Clearwater, FL. Please keep the updates coming. 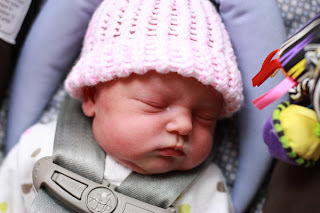 Mallory is going to make it and is going to grow up to be a sensitive, kind, and loving person. She has had such an impact in her life so far on so many people. What a year you had! 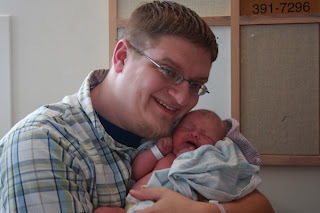 This blog is wonderful. 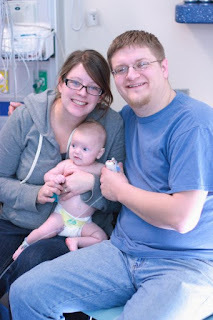 Mallory will look back on this blog someday and smile knowing that her parent's loved her so much!! 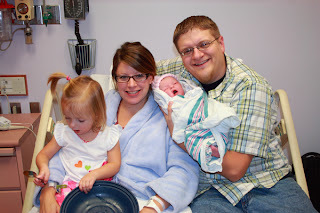 You have such a beautiful family. Keep smiling and hang in there.